Have you ever wanted to own your own vineyard and have your own wine? 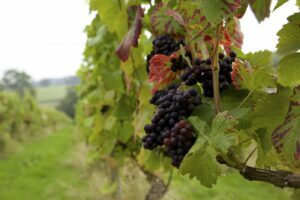 a’Beckett’s Vineyard can now offer you the opportunity to do so with our Vine Leasing Scheme. You can rent 10, 25 or 50 vines for a calendar year with a single annual fee plus the cost of the wine produced from those vines. Your vine lease will also allow you to buy other wines from our range with a 15% discount during your year of membership. Still wines will be ready for collection the year following your vineyard lease year and are usually released between May and July, we will contact you in advance to agree a suitable collection time.